Our engineers are the product of a rigorous education in engineering fundamentals and practice and are highly sought by companies in the U.S. and worldwide. Industry-based design projects are essential to provide engineering students with the opportunity to apply their technical knowledge to actual problems. The experience helps students bridge the gap between their academic and professional careers by exposing them to the technical demands, potential pitfalls, and professional expectations of practicing engineers. 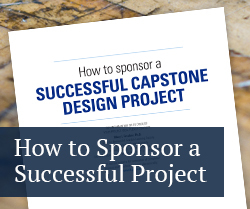 The Learning Factory helps coordinate 200 senior capstone design projects from industry sponsors and professional clients each year within the College of Engineering. Low-risk, low-cost investment with high potential return on investment. Work on "back burner" projects that help refine ideas. Help start-up and small companies with prototyping and development work, while fleshing out a business plan through collaboration with a team of business students. Direct access to some of the best Penn State students - like a 15-week interview. Better trained new hires from the Penn State talent pool. Company liaison overseeing the project gains invaluable project management experience. 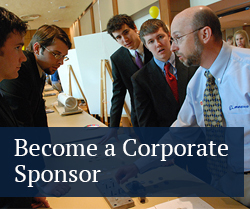 Increase brand awareness among Penn State students and faculty. 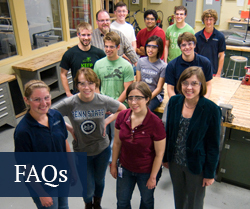 Entry point (and guide) into the Penn State network. Network with other companies through Learning Factory events and cross-promotions. Opportunity to give back to the University and influence the education and careers of many students.